Don’t lose your website traffic to technical errors. 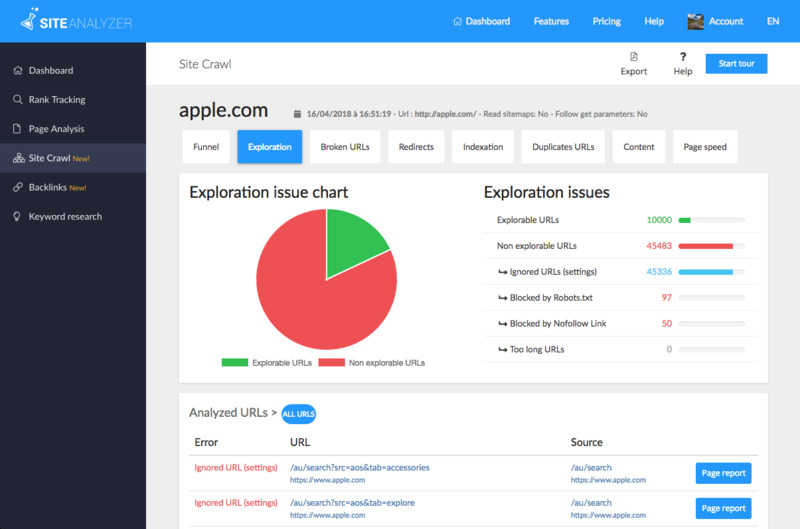 Analyze an unlimited number of pages of any website and get a report in real-time. There’s no need to wait hours to start optimizing your site. 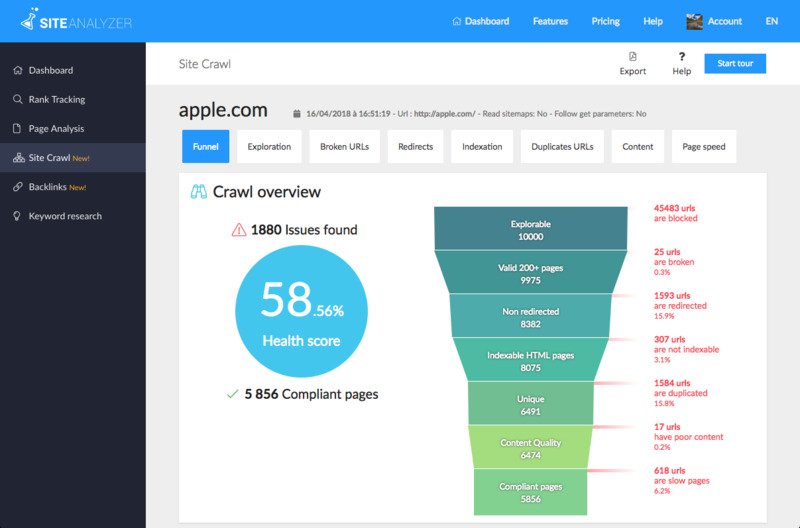 The Crawl tool is a website analyzer destined to apprehend SEO in a more global way and to carry out audits similar to an e-consultant. 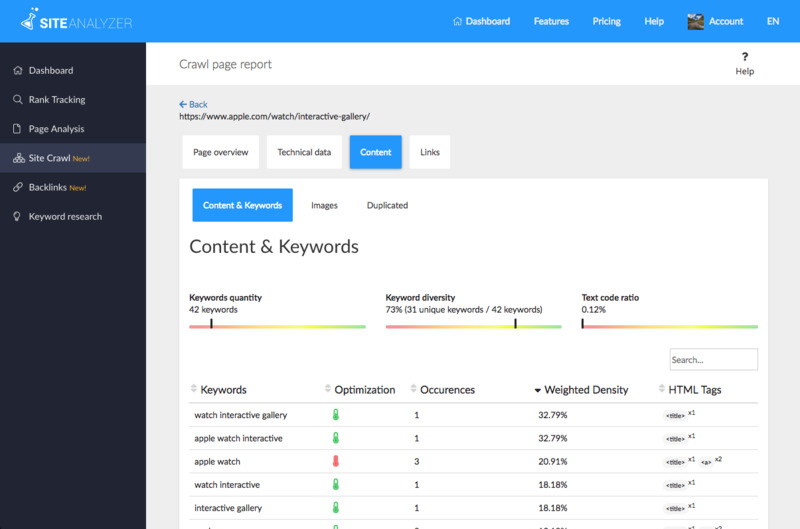 It also provides reports, exportable in PDF and csv, displayed on intuitive and actionable interfaces so that the report becomes a real tool to improve your SEO. Check the robots instructions for site exploration. Find broken links and avoid having inaccessible pages. Check for redirections and avoid having contradictory instructions. Make sure you are indexable and indexed. Analyze page titles and meta data. Get a complete report of the technical quality-side of a website and prepare your action plan with the help of the prioritized action list. Take note of the list of aspects identified during the analysis that block optimization, this list is organized depending on the repetition of the detected error and the SEO importance of the error. Each recommendation in the list comes with an explanation of what was found and why. The analysis report becomes a separate work tool for technical optimization.